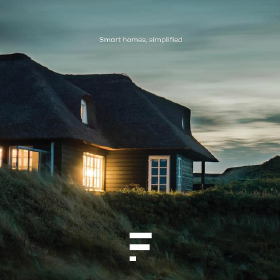 Futures offer the most simple and affordable home automation in Christchurch. It came to their attention that no one was offering a simple automation system. Yes, you may be able to purchase these fully wired systems which give you control of every element in the home but they often cost what you'd expect and some functions are what we’d call ‘unnecessary’. So we decided we’d simplify it. And make it affordable. 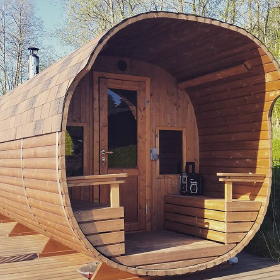 Check out this charming oval barrel sauna at the Home Show. See their full range and get one of these little beauties in your backyard! Revolutionising the way decking, fencing and sheds, cabins, pods and sleepouts are installed. 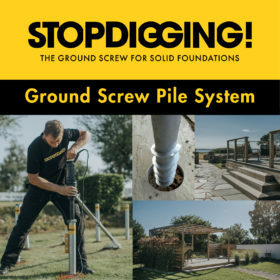 The Stop Digging system saves time and effort and adds up to a cleaner, quicker construction process! The NuroKor MiTouch is perfect for the 'tradie' or homeowner builder/renovator who may have an old back injury, a stiff neck, aching shoulders, sore knees or feet. 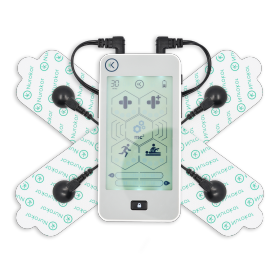 It’s a safe, effective and portable tool that supports active and busy people seeking drug-free pain relief, and speedier recovery from injury. 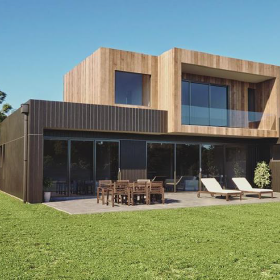 The team from Land Homes have built a working section of a high performance home at the Home Show to give you a behind the scenes look at the process and products that go into designing and building an innovative high performance home. Nothing brings people together quite like food and flames. 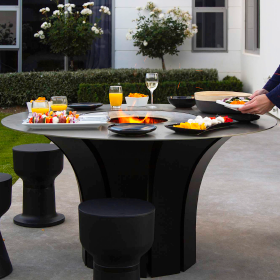 Escea have found the perfect way to combine them both with their Fire Table. Come and see it for yourself, along with their range of fireplaces at the Show.